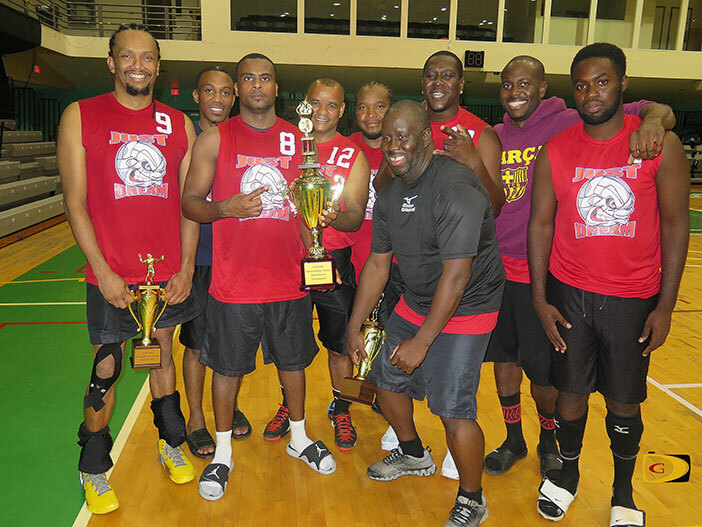 After Raw Power and Just Dream swept each other during the BVI Volleyball Association regular season, Just Dream’s Willis Potter told Raw Power they’d be swept yet again during Saturday’s championships game at the Multipurpose Sports Complex. He said Raw Power played well and it was a very good season for them and to get to the championship game. Ai-Qumin Nibbs said some of his Raw Power players arrived late and they didn’t get a proper chance to warmup. 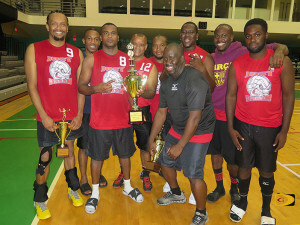 Raw Power advanced to the title game following a five set thriller over defending champions Gunz and Nibbs said they had Frandi Martin in that game but he was unavailable on Saturday. In women’s play, the unbeaten Virgin Gorda Eagles completed their inaugural season in Division B by sweeping Vixens in three sets, 25-22, 25-15 and 25-14. They swept all opponents en route to the title. Early in the season captain Yvette Harley said their aim was the carry the title to Virgin Gorda. They will move up to Division A next season and Harley said they’ll have to do a lot more as their aim will also be to win the title. Phoenix Red and Seventeen will meet for the Division A title on the weekend.